sold subject to contract via open house ! Perfect for a growing family we have pleasure in offering for sale this well presented spacious three bedroom detached property set in the heart of Henllys in a quiet cul-de-sac location. Book by appointment only! 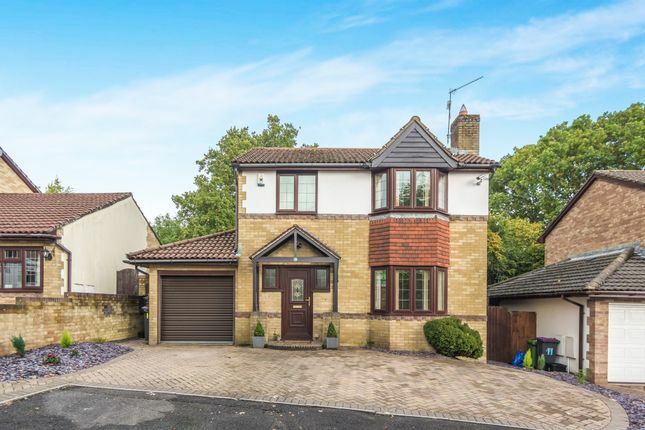 We are thrilled to offer for sale this well presented detached property. This highly regarded area provides easy reach to local amenities and the local town. This popular residential area gives great access to major link roads which will provide those commuters who may wish to commute to Newport, Cardiff or Bristol. This well presented house comprises of three spacious bedrooms with a larger than average en-suite to master bedroom, family bathroom, ground floor w/c, modern fitted kitchen, lounge continuing through to a formal dining area with french doors leading onto a large conservatory with heat reflective glass ceiling panels. Additional french doors leading onto a landscaped low maintenance garden providing several patio areas fit for alfresco dining. To the front the driveway provides parking for three vehicles. The property is situated walking distance to bus stops and the Church of Wales Primary School and Cwmbran High School. Upvc obscure double glazed window and door to front, radiator, laminate flooring. Upvc double obscure leaded double glazed window to front, vanity wash hand basin, low level w/c, radiator, laminate flooring. Upvc double glazed window to rear, wall and base units comprising of 1.5 composites sink with mixer taps and tiled splash back, fitted gas hob, built in double electric ovens, storage cupboard under the stairs, laminate flooring. Upvc double glazed window plus obscure double glazed door to rear, base units with stainless steel sink, plumbing and space for washing machine and tumble dryer, wall mounted baxi boiler, radiator, laminate flooring. Upvc double glazed windows and french doors to rear with heat reflective glass ceiling panels, radiator, laminate flooring. Loft access with pull down ladder, airing cupboard housing water tank, carpet to floor. Upvc obscure double glazed window to front, 3 piece suite comprising of bath with mains shower over, pedestal wash hand basin, low level w/c, tiled walls, vinyl flooring. Upvc double glazed window to rear, fitted mirror wardrobes, radiator, laminate flooring. Upvc obscure double glazed window to side, 3 piece suite comprising of bath with electric shower over. Pedestal wash hand basin, low level w/c, chrome heated towel radiator, vinyl flooring. Electric roller shutter door, power and lighting. Blocked paved double driveway leading to integral garage and side access. Low maintenance spacious private garden providing side access and a paved patio area with steps leading to an additional patio area fit for alfresco dining.